At this internship, you will have the opportunity to network with other event coordinators for private groups, as well as Texas A&M University department event coordinators. While working at this complex, you are given the chance to gain a better understanding of the events industry and apply textbook information to real experiences. Submit the form above to contact the complex's General Manager, Steve Canon, to inquire about a potential internship. The paid position is offered in the spring, summer, and fall. The events internship at the Thomas G. Hildebrand, DVM '56 Equine Complex provides a wide range of learning experience in the coordination of different types of events. 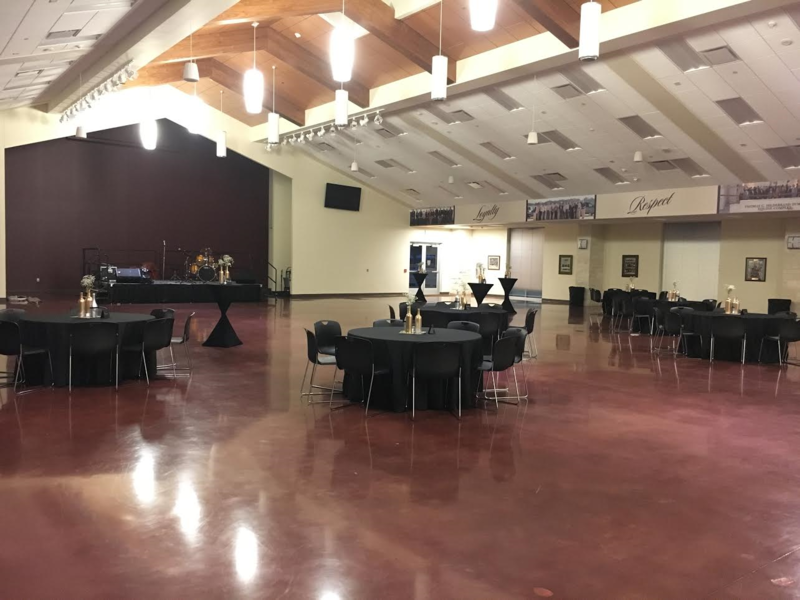 At this complex, the intern is able to work events such as weddings, professional business meetings, conferences, formals, dinners, and workshops. ​During the events, the intern is responsible for helping event organizer with any set up requests, monitoring and taking out trash, being available if needed during event, and ensuring that the complex event spaces are returned the way they were found. In the office, the intern assists with keeping events booked updated in the database. You will meet with clients, and answer emails regarding potential events as well as clientele questions. While in the office, the intern also gives tours of the entire complex to potential clients looking at event spaces as well as guests interested in the complex. In my time at the Thomas G. Hildebrand, DVM '56 Equine Complex, I gained valuable learning experiences in my event management career. I acquired experience in what it truly means to be an event coordinator at a venue, while increasing my problem solving ability. There is truly nothing more valuable I could take away from this internship than seeing my hard work in the classroom pay of in real practice of event management.